The Sons of the American Revolution and Daughters of the American Revolution commemorated the 236th Anniversary of Wayne’s Crossing at the Spirit of Loudoun Revolutionary War Memorial in Leesburg on Saturday. 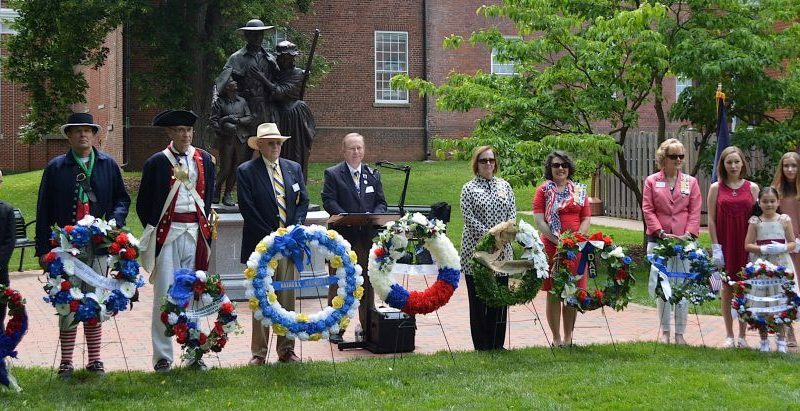 The Sons of the American Revolution and Daughters of the American Revolution commemorated the 236th Anniversary of Wayne’s Crossing Day at the Spirit of Loudoun Revolutionary War Memorial in Leesburg on Saturday. Gen. Anthony Wayne crossed the Potomac River and marched through Leesburg on June 3, 1781, providing critical reinforcements that allowed the Continental army in Virginia to push Lord Cornwallis and the British army into Yorktown, where the war ended a few months later. “Let us remember that it all began right here with the Potomac crossing and march through Leesburg of General ‘Mad Anthony’ Wayne,” said Jeff Thomas, president of the Fairfax Resolves chapter. During Saturday’s ceremony, Mayor Kelly Burk read the Town Council proclamation declaring the day as Wayne’s Crossing Day in Leesburg. Eight chapters of the SAR, DAR and Children of the American Revolution participated in the ceremony, including the Fairfax Resolves, Culpeper Minutemen and Colonel William Grayson SAR chapters; the Ketoctin, Stone Bridge and Fauquier Courthouse DAR chapters; and the Rev. John Marks and Colonel William Grayson CAR societies. 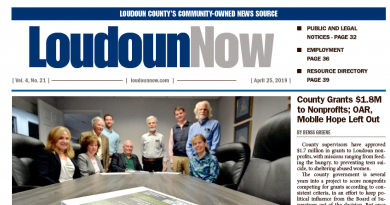 Members of the Loudoun County Heritage Commission, Lovettsville Historical Society, Purcellville Historical Society and the Friends of Balls Bluff also attended. The ceremony included historical readings and presentation of wreaths commemorating the 236th anniversary of event.